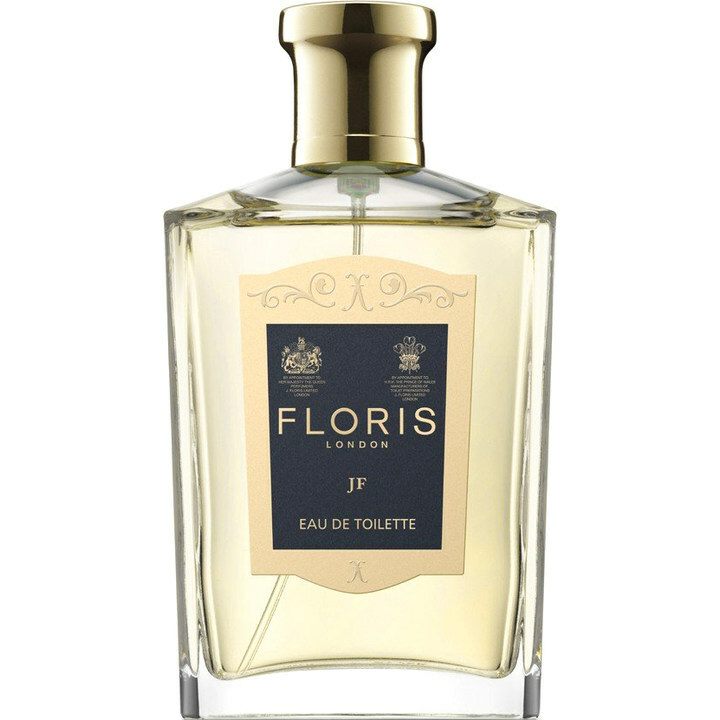 JF (Eau de Toilette) is a perfume by Floris for men and was released in 1992. The scent is fresh-citrusy. It is still in production. Within a short time "JP" is developing a brillant blend of Citrus with all facets. Therefore "JF" is for my opion the ideal of a citrus parfum. "JF" is a citrus miscelaneous of fruits and blossoms of every kind from lemon, grapefruit, yuzu, seringa, lime, tangerine etc. But out of this there are mixed in resins of citrus plants, trees and leaves like petitgrain and labdanum. This all is seasoned by some fresh and tangy herbs, enriched with a note of cypress and cedarwood coniferous, needles and resins. Not to forget the juniper with ist's special fruits. The special bitterness of oakmoss does not allow that "JP" is developing into an ordinary fresh cologne. Certain amber resins and musk are caressing "JP" down to a mellow flavour. I consider "JP" as a unisex-perfum. And I am intrigued by "JF". JF opens with a citrus tandem of orange and lemon (more orange than lemon), with just hints of aromatic green herbal mugwort to add some balance to the citrus. As the fragrance enters its heart, the citrus recedes to a small degree, while the mugwort remains now combining with just slightly sweet amber. As the fragrance enters the early dry-down the amber continues to build coupling with a subtle woody accord, but the fragrance retains its general aromatic herbal citric nature through the end. Projection is below average and longevity is average at 7-8 hours on skin.